A smart community can exist at a local, regional, or state level. It starts here… with four steps. It’s important to approach problems in a way that serves every stakeholder. Esri’s ArcGIS platform makes that possible by supporting all major government workflows. (Think: data collection, analysis, what-if scenarios, operational awareness, field operations, civic engagement, and more). Priorities are a must. Your organization can use location to analyze holistic issues including smart infrastructure, smart buildings, and healthy and safe communities. At the same time, focus on a single department such as law enforcement or health to meet goals of a more limited scope. Big challenges include infrastructure, efficiency, productivity, economic conditions, and green solutions. 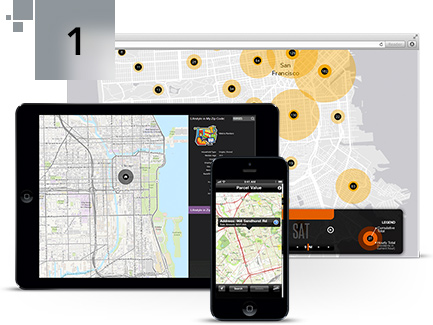 Esri works side by side with governments to develop apps that address such challenges. These apps can be deployed immediately and tailored over time. Sophisticated solutions can come from many sources. 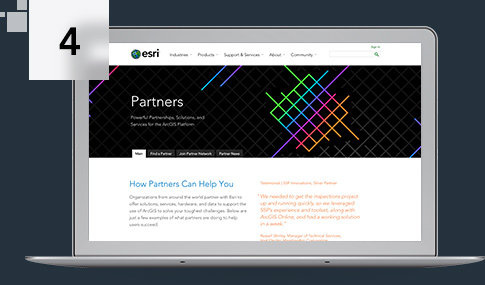 Esri partners with other solutions providers who specialize in issues such as permitting, asset management, and climate or crime analysis. 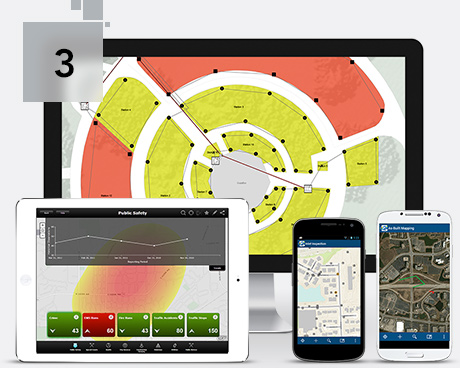 These solutions are built to grow with you and work on top of the ArcGIS platform.